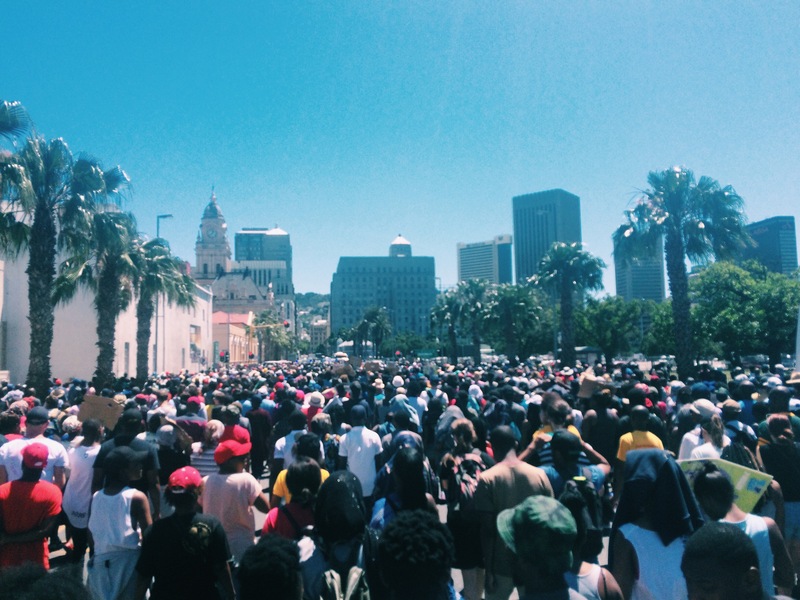 I wrote my last blog about a month ago concerning the protests taking place at the University of Cape Town and other universities across South Africa. When I wrote that blog, I was in the second week of not having classes and UCT being shutdown. Now as I sit here in a cafe writing, I have not had face to face lectures for approximately a month and a half. UCT management tried to restart classes without reaching any real resolution causing more protests. Private security was brought onto campus making numerous students feel unsafe. Violence broke out in the night and the concept of “black lives as disposable” was only strengthened in the actions of the night. UCT shut down again and tried to make some effort in reaching a resolution, but came to no solution. UCT declared that the year would finish but all face to face lectures were suspended and the year would be finished through a blended learning system – meaning that exams were approaching fast and assignments were due online. 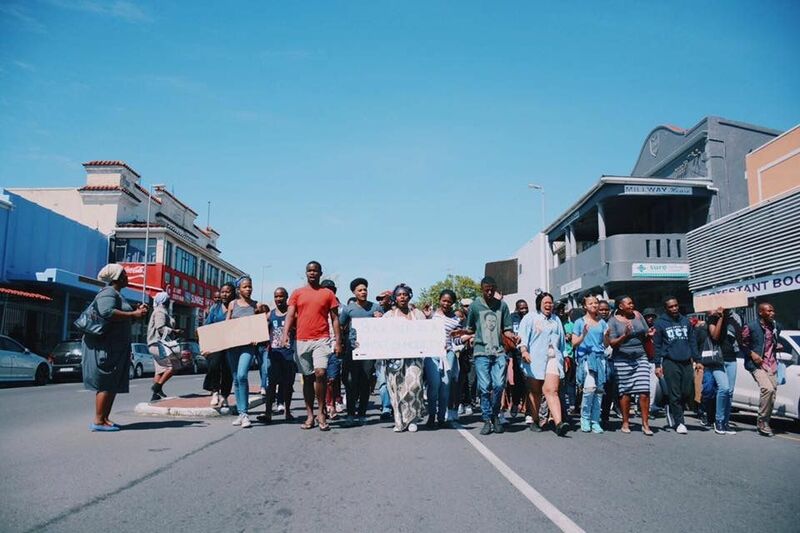 Students and workers still protested and on October 26th, they peacefully marched to Parliament in solidarity only to have police brutality cast upon them through stun grenades, rubber bullets, and manhandling. 1) The first time UCT tried to open, I didn’t have classes on that Monday. Due to that, I decided to march with a section of the protesters in hopes to shut down the campus so that the issue would be addressed rather than ignored. This was an exhausting and humbling experience. Protesting is no easy thing especially as people passionately fought for justice while being ignored or threatened by the presence of the private security. After this day, UCT tried to have class once again – and that Tuesday I did have class, but I decided not to go due to the circumstances. I choose to email my professor and express that I could not pretend nothing was happening outside of my classroom window when private security was all over campus and students were protesting and standing up for justice. I chose not to go because deciding to partake in my classes felt like supporting the current injustice and furthermore living into the privilege of ignoring the problems of marginalized communities. Eventually as that week progressed, classes shut down for the rest of the week and then the next as well. 2) The second time UCT tried to open brought forth different emotions. 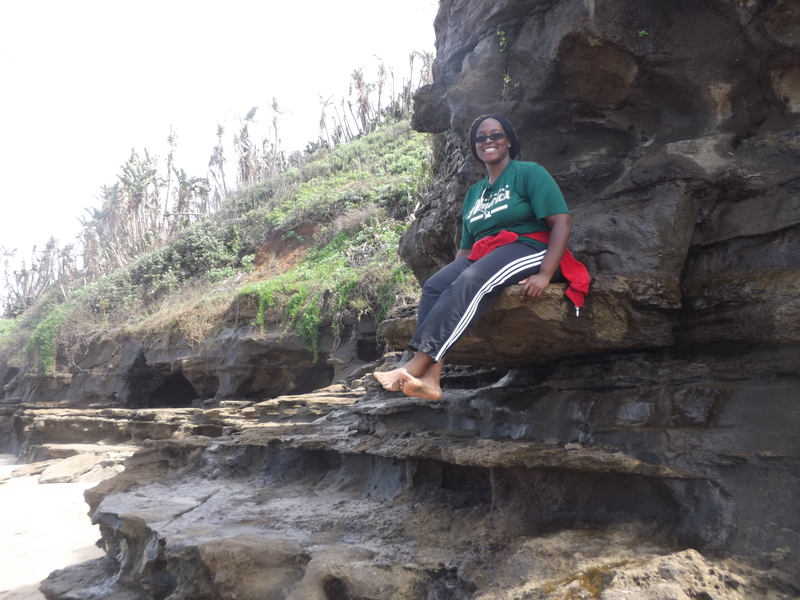 At that point I had not had school for a month and though I filled that time with important conversations, quality time, and other learning moments – it was a long season in which I didn’t really know what my purpose was as it was no longer that of being a student. 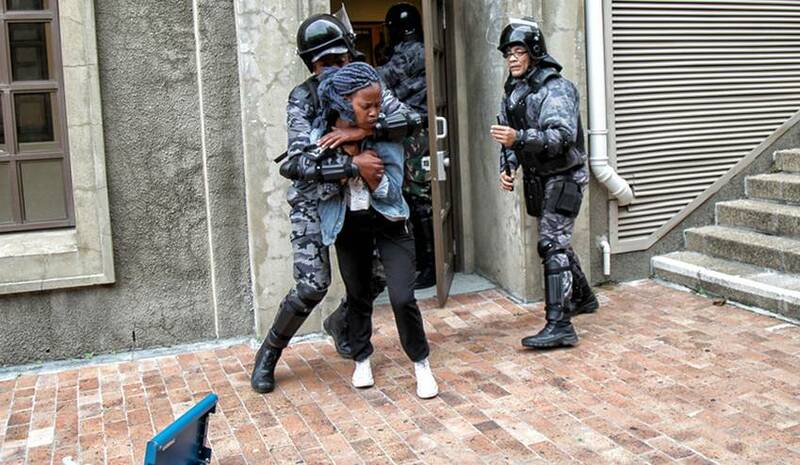 To add to that, when UCT reopened school for a second time – UCT took a tactic that demobilized the students. They cancelled all face to face lectures, moved the exam schedule back two weeks, and embarked on a learning system called “blended learning” that was different depending on the faculty, but essentially dealt with online learning. This system was clouded with so much injustice as it just perpetuated the education gap of rich vs poor that this protest is fighting against, because it is only the wealthy that have access to wifi, computers, and things needed to do class online. More than that – at this point, it wasn’t a quality education – a month was being crammed into a two week time period and then came exams. The SRC, or the Student’s Representative Council (the student advocates in communication with management during this time) declared that school should shut down for the rest of the year and resume earlier in the next term and with that time off, it should be used to seek out a resolution. Though this isn’t what anyone wants, protesters included, it is what makes the most sense. UCT management retaliated by releasing the exam schedule to finish off this year. Therefore, my feelings were unsettled because I felt torn – at this point I had to choose between school and the cause – and I was demobilized and uneasy. In this state of mind, I had a conversation with my kitchen mate and she expressed that at this point it was important for me to remember my role. As an international student, I have immersed myself in the culture and chosen not to be ignorant about what was going around me as well as have taken part in it. Now, since I will be flying out soon, it is my time to do the work to get the credits that I came here for. 3) Most recently, on October 26th I joined a peaceful march to parliament. It was powerful t o see and be a part of – I would look in front of me and behind me and see numerous people – students and workers alike. I would hear songs of apartheid freedom songs. We walked together in solidarity to show how so many people stood behind a free decolonized education. When we got to parliament, it became very chill and people stood, sat, and just relaxed outside of Parliament. During that time, a friend I was with became dehydrated and we left to get some water and get her health back up. We played a role of being one of the bodies marching and showing support for the movement and it felt good as well as powerful to be a part of. Not even an hour after we left, violence broke out. And it wasn’t violence instigated from the protester’s side – but the police. The police threw a stun grenade into the group of protesters making fear and violence begin. Rubber bullets were shot, more stun grenades were released, people running were targeted, students were manhandled, and what was a peaceful and legal protest turned into a battle and crime scene. Trauma. Pain. Anger. Sadness. Hope. Relief. Irritation. Uncertainty. Hurt. Fear. Faith. Empathy. Unbelief. Love. Hate. Shock. Restlessness. Paralyzed. Gratitude. These are the emotions that are capturing my current state of being in all that has gone on. Emotions that root from how black bodies are seen as disposable and how people have been abused due to their race. Emotions from the journey of this academic semester and the looming uncertainty of how it will unfold as exams are very likely to be disrupted. Emotions from the injustice and being an ally in this fight for justice. Emotions that come from the fact that I fly out soon making this no longer my immediate issue. Emotions that come from missing some of my education, yet knowing that I have been experientially educated more than any other experience really could. Emotions that come from the fight for free decolonized education in South Africa. So with all of this – now I just don’t know. I just feel like I sit in my trauma and unrest of situation at hand. I still believe in the fight for decolonized free education, yet at the same time, am still trying to do my work in order to receive the credits that I came here for. To continue forth with schooling seems unjust, yet to not continue forward at this point also feels wrong…putting me in this state of trauma and unrest. 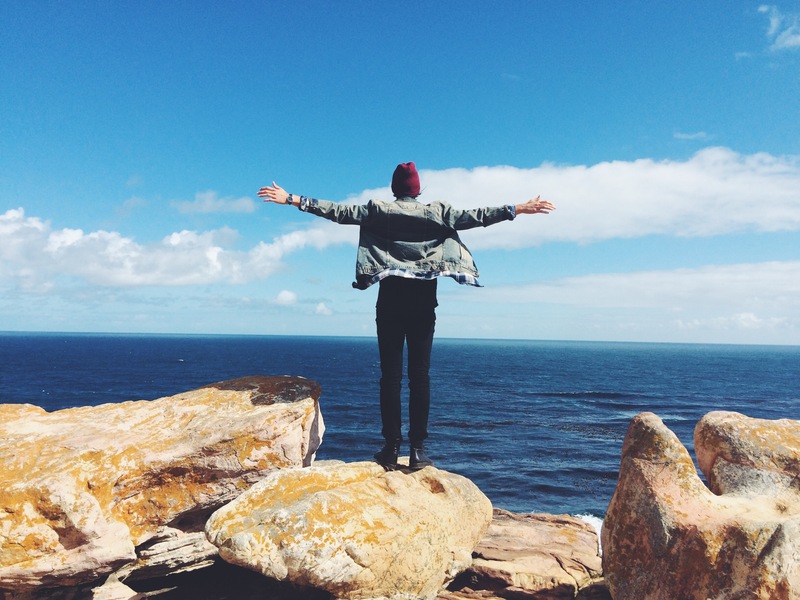 When someone studies abroad – there is no guarantee what their experience will look like. The only guarantee is that they will come back changed either drastically or even a small amount from the person they were when their journey began. I had no idea I would be caught up in this radical and progressive time and that those characteristics would rub off on me. I knew I would come back changed – and I have in so many ways. Though the experiences I have gained through my study abroad placement are not ideal and have made this ending time uneasy in terms of my emotions as well as other’s emotions- they are all still important in this journey of self and worldly growth… and for that I am grateful – not that injustice exists, but the change it has birthed in me. On Thursday, September 15th, I attended a mass meeting led by student and worker protesters declaring that they would be shutting the University of Cape Town down in order to protest some of the stated injustices occurring at UCT. And that they did. Since that Thursday meeting, I have not had classes and UCT has been shut down with the intention to reopen on the 3rd of October. You may be asking what these protests are all about that are causing this disruption? …. Well, I am glad you asked. These protests fall under the movement of Fees Must Fall or creating a decolonized, free, and equal opportunity for education. This is a national protest that is happening at universities throughout South Africa. Since race plays such a huge role in South Africa due to its history with apartheid and colonization, blackness is often associated with poverty as people of color create up the majority of the working class and those who cannot afford this higher level education. Therefore these protests have many demands, but essentially they deal with making a free education, worker rights, and just eliminated the racist or white supremacy concepts that exist in the secondary level institutions across South Africa. As these protests were all unfolding around me, my first thought and emotion was empowerment and inspiration. Never before in my life, have I seen a group of people come together in such solidarity to oppose regulations that were seen as unjust. More than that – history in the making was happening around me and I got to witness it and have the opportunity to take part in it somehow and someway. And with these emotions fueling my thinking – I was going to try join this protest and fight for justice. Then after someone challenged my impulsive jump to participate, I took a step back and had to ask the question, do I really support free education? It sounds like a good concept, but in reality, I saw a poor quality education because universities are organizations that make their money from tuition – and therefore just depending on this money to come from the government could likely result in an underfunded institution. I then had another “hold up” moment and questioned why this protests where shutting down the school when the issue was more of a government problem. Through going to the mass meetings held by the protesters, talking to students of UCT, and doing some independent research – this is what I have come to understand. The zero fees policy, through funding by the government, is possible as other countries have implemented it. More than that, the South Africa government is allocating their money in ways that could be budgeted in a more constructive and positive way than how it is happening now – and thus a free education is seen as feasible. As to the point of why the school is being shutdown, though it is blocking students who want to get their education, it is enabling students who want to protest without getting penalized. Because of that – when class was in session and the shutdown was happening, protesters were going classroom to classroom to interrupt it and shut the university down with the goal to have it reopen once their demands about fees and other rights were heard and some action is taken. 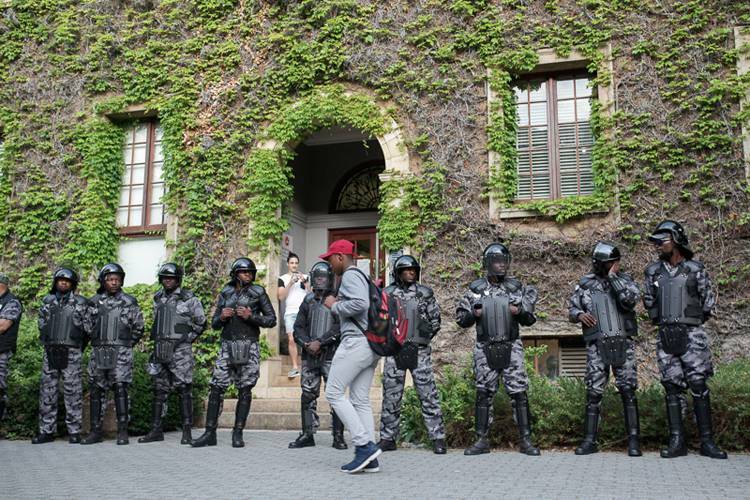 On top of that, this protest (Fees Must Fall) happened last school year and shut down the university for two weeks. The way the issue was resolved was the government agreeing to make a plan so that a free education would be put into place, but the government didn’t end up following through. Therefore, the protesters are going to the government but also the university, because UCT did not play their part in trying to make this change. UCT Management knew these protests were going to happen (most students I talked to since I have been here talked about protests being very likely), so UCT management, did not play their role either in trying to make the shift in their education system. Now as I am in this second week of having no school – I don’t view this as an extended vacation, but as a time to grow, understand, and learn. The time that I am currently experiencing is a sensitive time with many unknowns. People don’t know if school will be closed another week or even to the extreme – shut down for the rest of the semester. This makes it a sensitive and conflicted time as students have many different levels of support and opposition to what is happening around us. So where do I stand in this sensitive and uncertain time? I back this protest because it is about justice, equality, and breaking down walls. There are demands that I don’t fully back and a desire for it to be done differently, but as I movement as a whole – I am in solidarity with my fellow students who seek out this justice. I am not at the forefront of the marches as that is not my place, but I am support of what’s going on around me. It is important to state that I recognize my privilege as an abroad student in this situation as it is easier for me to be chill with what’s happening because I know even though my plans are changing, that no matter what, somehow my home university as well as the program I am abroad with will make sure that I get the credits that I came here to accomplish. That’s not really the privilege of a South African student. And that’s why this is a sensitive time because this protest is progressive in terms of the future, but it is also destructive for the now. When I choose to study abroad, I wasn’t choosing to board the plane to a 6 month vacation, but rather, I came here to learn and embrace culture to the fullest – so it is empowering to be a part of history and watch progress be fought for in a place where much progress needs to be had. As an American abroad student – this has nothing to do with me – but also is has everything to do with me. As a human in this unjust and oppressive world, I believe it is our duty to stand up for justice and that’s what is happening with these protests. I do wish that this movement could be done in a less destructive way, but in order to have the voice of the oppressed heard and listened to –this is one of the few “peaceful” options. So will I be extending my departure date? Will I be taking exams? Will I miss my favorite holiday of Thanksgiving? All these questions are unknown, but I am not worried with my issues because the issues we are dealing with is much bigger than me – it’s about justice and I stand for justice. Last Monday, the first week of classes began in a university that has a lower, middle, and upper campus. As I looked on my phone at the campus map trying to find classrooms in buildings that I had never even heard of before all while trying to walk around with confidence and appear to know where I was going, it hit me – I am a freshmen again. Here I am in a total new setting, experiencing college in way that I never have before, and hanging out with people that I have only just meet and am growing to know. I am starting again from scratch – I am a freshmen, or so that is how it feels. But at the same time, I am a senior. I have 3 year of a college education under my belt. 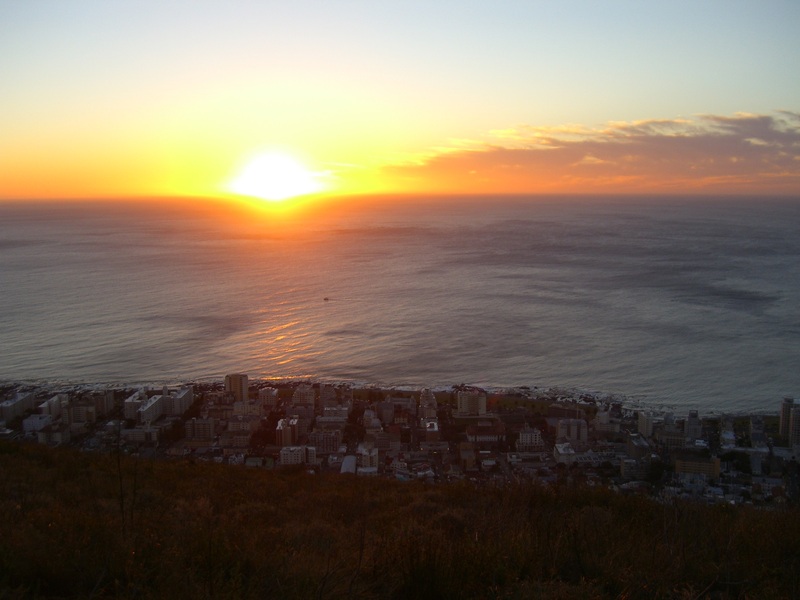 More than that, the JL that started Hope College in the fall of 2013 is not the JL that flew to Cape Town, South Africa to study abroad. I have changed. I have changed a lot since my freshman year, and I believe that I have changed for the better. When I first started my freshmen year, I had a period of time where I was lonely for more than half the year. I was surrounded by so many people that knew who I was, but I felt like no one really knew who I was. As I struggled to make connections, I realized that a big part of my loneliness came from the judgmental mindset that I had. In my interactions with people, I would determine if a person was “good friend material” based on the most insignificant actions and/or personality traits. In this mindset, I wasn’t able to make friends because no one was able to qualify for my friend standards. Yet I have changed. I have changed and grown in my intelligence, in my love and treatment of others, in my perspectives and worldview, my maturity, open-mindedness, in understanding who I am and being confident in that, and even the length of my hair.I have changed to the point where my junior year, people gave me the highest compliment I have ever received as calling me someone who is nonjudgmental. So I am happy. I am happy to be thrust back into the world of “unknowns” being the person that I am today rather than the person I once was. Everything is new and I am starting off fresh – I have the chance to start again. Yet I have that chance to begin again in the version of myself that I have grown into since my freshman year. I am a senior even in this freshness. So to my freshenior year, a year of new joys, challenges, perspectives, places, adventures, and opportunities. To my freshenior year! And just like that my summer has come to end and I am off to be a student in another country with a semester that is currently overcast with many unknowns. Since the moment when I gave my sister the bittersweet and final wave before going through security at O’Hare International airport, my emotions have been anything but stagnant. They have fluctuated from the heart beating moment of boarding the plane and realizing this was 100% actually happening, to the joy I felt when I saw the movie selection as well as when the airplane meal was brought out, to the regrets of eating the creamy mash potatoes even though my lactose intolerant body warned me not to, to the now serenity of just sitting here and waiting at the Dubai international airport to board my plane to Cape Town, South Africa. As I sit in this wi-fi-less airport, I am finally given the much needed time to write of the reflections that accompany the adventure I am embarking on before I really get to the heart of it. With this new chapter in my life, I have a few expectations and hopes. I expect to learn a lot. I hope to learn about myself, the culture, and the possibility of working at an international level. I expect to find a community at some point in my time in Cape Town. I hope that it is soon, because even though I am someone who knows first hand that loneliness can be really beneficial for me, I am also a 30/30 extrovert (Myers-Briggs guaranteed) and want to find those people to call my home away from home. I expect to see amazing sights and go on many fun adventures. I hope to have the time and people to feed my adventure side (and I hope to not get eaten by a shark). I expect that this chapter in life will change me drastically. I hope that change turns into growth of myself on a spiritual, cultural, intellectual, professional, and personal level. All in all, these hopes and expectations are scary because I have no control in how they will play out. I can choose the person I want to be or even some of the things I get involved in, but I can’t control or plan the results. Heck I barely understand how I am getting the food that I am cooking for myself, how to get to the classes I am taking (plus what those classes are), or just my situation as a whole – and as a type-A planner personality, that is a scary thing. With that said, one reason that pushed me to study abroad for my fall semester of my senior year (even though I adamantly declared as a freshman that I never would study abroad due to FOMO [fear of missing out]) was the fact that I had planned so much of my junior/senior year and had such expectations – yet when it came down to it, my junior year was overshadowed with disappointment and plans crumbling apart (not to say the wasn’t a lot of good in it too). So here’s to a new start, with many unknowns and situations/factors I can’t account for – here’s to the next chapter that I am nervous for, yet even more so, I am excited for as well. Cheers to new beginnings! Why did I go to South Africa? The answer to that question has changed dramatically since I left for Durban on August 20th. 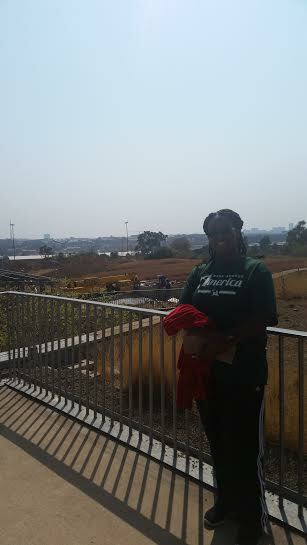 I went to South Africa to focus on the racial history of the country to get an international perspective on race. 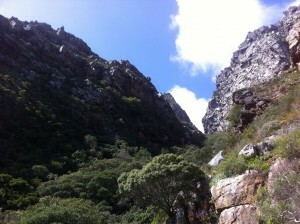 I spent some time intentionally pondering race in South Africa but not as much as I thought I would. Instead I jumped head first into trying to figure out everything about the country. What I mean is, I thought I would spend all my time learning about Black and white relations, but I learned about informal housing settlements, the education system, and resource distribution within the country that is impacted by race along with so many other factors within the government. I received so much more of a broad overview of the country than I had anticipated or planned. I did not intentionally go to South Africa to figure out my seminary goals and aspirations but that is exactly what I spent most of my time doing. I now know that I want to go into church ministry. I realize that God’s people are the Church so if I want to impact the world for Jesus then I need to get with His people. 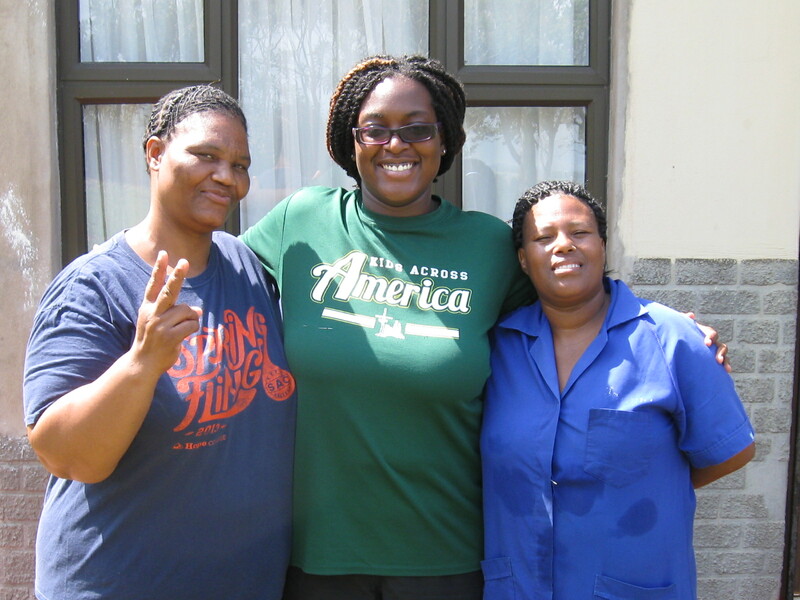 Although the Church is not the only way to do ministry, it is the place for me and I realized this in South Africa. I did not expect to care about the environment especially water accessibility but now I do. I know that it is a privilege to turn on the faucet and have water especially hot water come out of it. Everyone around the world does not have this privilege for various reasons whether it’s the area they’re in doesn’t have adequate piping or they are in a drought, water accessibility is a privilege. I never expected to fall in love with the Zulu language, people and culture but I did. My one regret from my time in South Africa is that I did not finish learning Zulu but to be honest there was no time. So that just means I have to return with the sole purpose of learning Zulu. But as evidenced by this blog even if I return just to learn Zulu I’m sure I will learn so much more about South Africa and myself. It is strange to be going back. 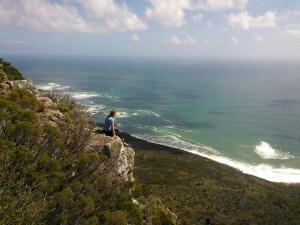 Now as I focus on returning I think back on my original reasons for coming to South Africa. 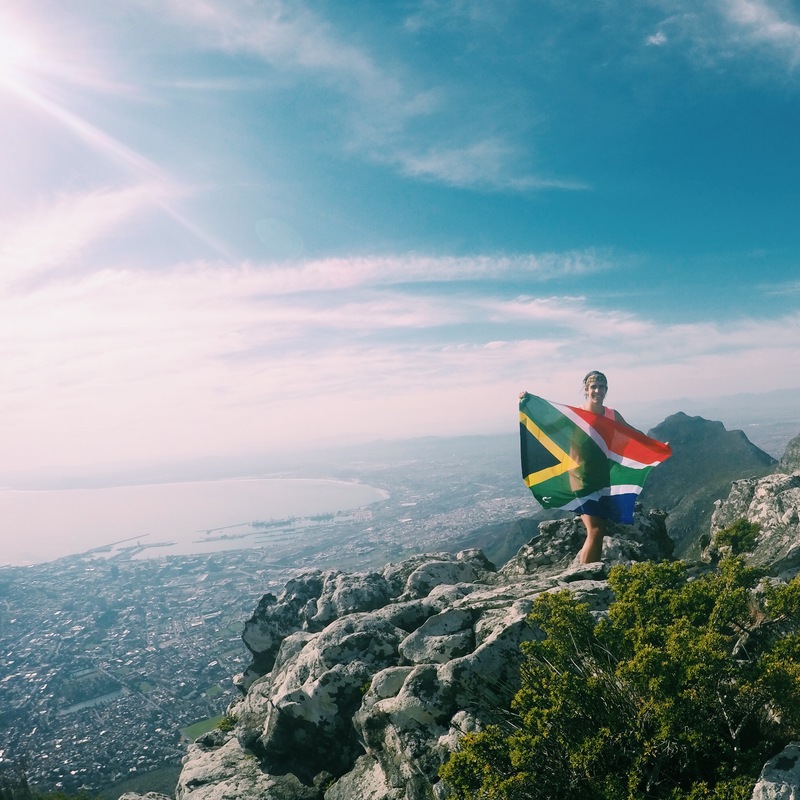 I had no idea that in going to South Africa I would confirm my seminary aspirations, learn more about myself and how I fit into the world and fall in love with the most beautiful country I’ve ever been to. South Africa was my first experience outside of the U.S. and the country is far from perfect but truly a piece of my soul is now in South Africa. Just as a part of Winnie Mandela’s soul was with Nelson Mandela while he was in prison, my soul is with the lovely and beautiful South Africa. I lived in Windermere flats my last month in Durban. My apartment overlooked the ocean and the city skyline. So of course one of my favorite things to do at night was walk along the beach. The night atmosphere on North Beach is totally different from the daytime. It’s still lively at times especially on the weekends but usually it’s peaceful. When I walked along the beach, it was just me, the stars, the moon, the ocean and God. I will miss that time immensely. 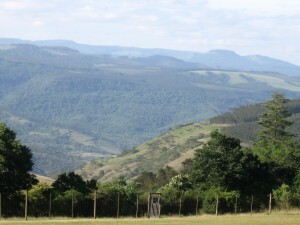 As you leave eThekwini (aka Durban) in the direction of the more rural areas, you will see what I call the “rolling hills” of Kwa-Zulu Natal. It is literally endless green hills on either side of the highway for miles around. The hills get higher and the valleys lower as you go further into the rural areas and its just greenery everywhere. The most amazing part of the rolling green hills is that South Africa is in a drought right now. But somehow, aka Jesus has kept those plants alive and well so that they continue to flourish despite the heat and decrease in water supply. Shout-out to my home stay families for putting up with this crazy kid for weeks on end. 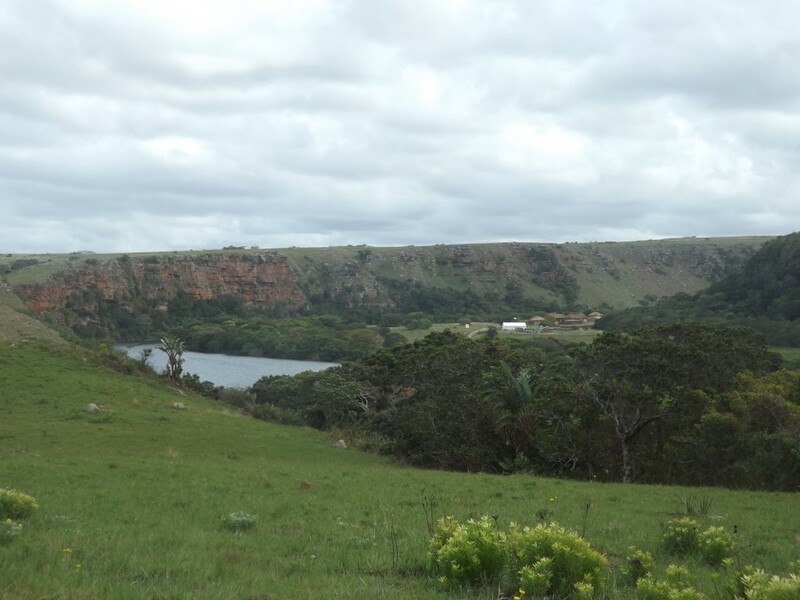 My host families were my personal glimpses into the lives and cultures of the people of Kwa-Zulu Natal. My host families were warm and welcoming people. They went above and beyond to make me feel comfortable. I will miss each one of them for various reasons but mainly because each home stay was a new adventure and opportunity to grow. For example, in my rural home stay I learned that water is not an indispensable resource that everyone has access to. It was so humbling to see the empty water tanks of my rural host family then to experience a five-minute rain shower and to realize the next morning that the water tanks still are not full. For me, coming from my U.S. privileged background where I can just turn on the tap to get water whenever I want, I had to ponder the fact that everyone cannot waste water as I do because there is not enough water to waste. I will never forget that experience and my crazy host mama. If you know me, you know I do not like coffee or Europe’s colonization of the world. So an ironic highlight from Durban, brought to the area by the English, is its tea culture. When I was doing research at the Archdiocese of Durban Chancery, I enjoyed the 10am and 3pm tea breaks. It was a time to socialize, take a break from work and just distress. 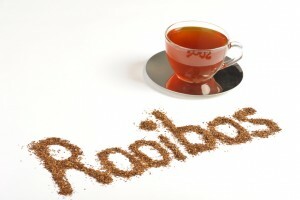 Also Rooibos tea is divine, it’s so delicious. If I ever start an organization, Tea Time will definitely be incorporated into the daily activities of the company. Lastly, but this should have been first, the people at SIT in Durban’s Social and Political Transformation program are amazing human beings. They work themselves into the ground to make the experiences of the students memorable. I could talk about them for days but I won’t right now. Just know that the program would not function without the vision of Imraan, the organization of Shola, the commitment of Sdu and the tireless efforts of Scott. Each of them holds a special place in my heart. 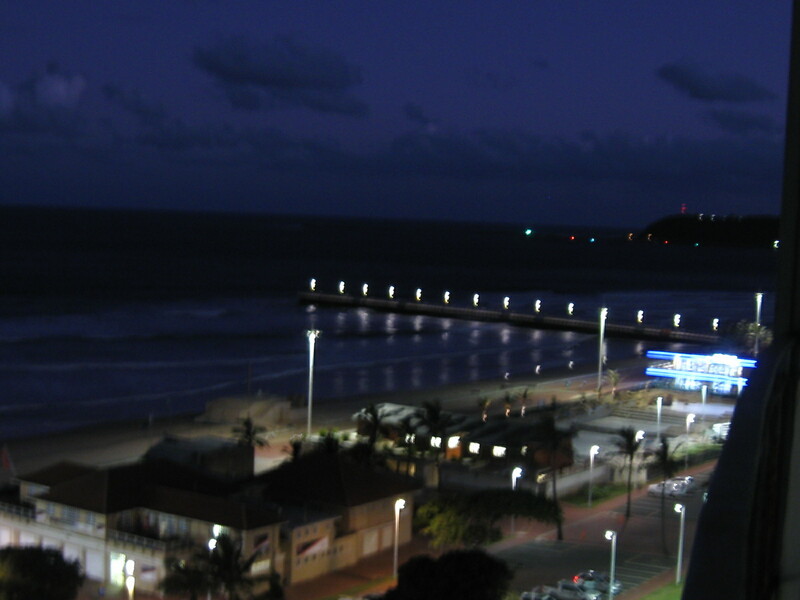 Well there it is folks…my top 5 of Durban. Disclaimer: I’m no longer in Johannesburg (aka Jo-burg or Jozi) but this is my first ‘official’ blog. 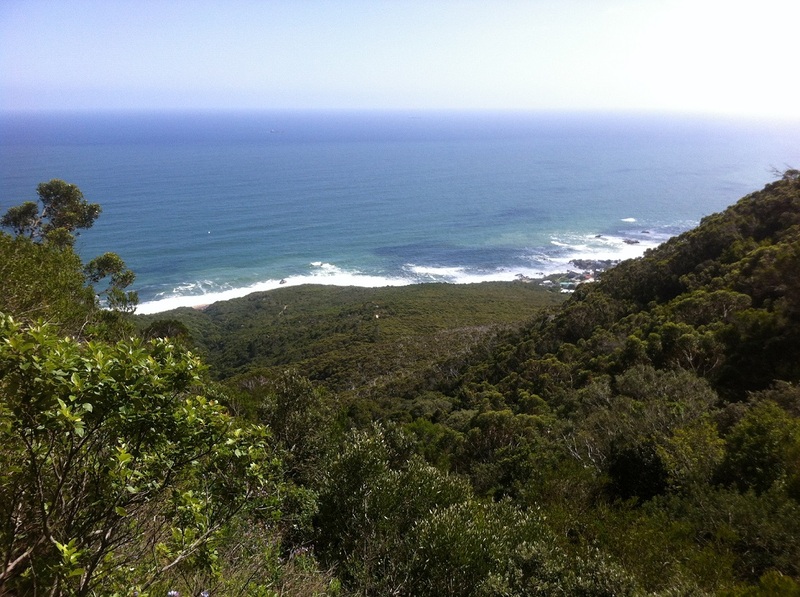 So this is my first of many blogs from the wonderful country that is South Africa. And I want to set some ground rules for understanding and appreciating all that will be my blog. My blog is an opportunity for me to send myself to you through the wonders of technology. That being said this blog will be as formal and as informal as I need it to be. When you read this blog imagine you are having a ten-minute conversation with me about my day/experience. And if you know me well then you know that, that is a relatively short conversation as I can be long-winded and am a verbal processor. Please enjoy my blog. One of the main reasons I have committed myself to blogging is I want to share my experience with you so please comment, suggest things and for my professors send me critiques of my writing, if you want, completely up to you though. So those are my “ground rules,” pretty simple I think. Oh and just so you know I might add to my ground rules if I think I need to but hopefully it’ll all be A-ok.
And now that’s out of the way, who wants to hear about my first day in South Africa? I know I do :)haha I kid but really. To me, it communicated the confined-ness of non-white South Africans during apartheid. 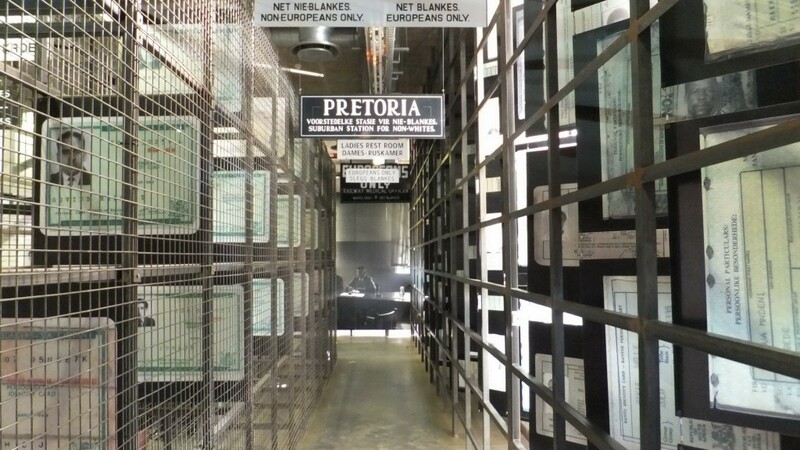 The prison-like structures reinforced the institutional levels of control felt by everyone in apartheid South Africa. It reminded me of The Jim Crow Museum in Michigan that emphasized how every aspect of Black Americans lives from birth to death was dictated by Jim Crow laws. Similarly, in apartheid South Africa, every aspect of life was determined by one’s racial classification. If one was classified as anything other than white the implications of that reached far beyond a label, it meant whether or not one had access to education, health care, housing choices etc. 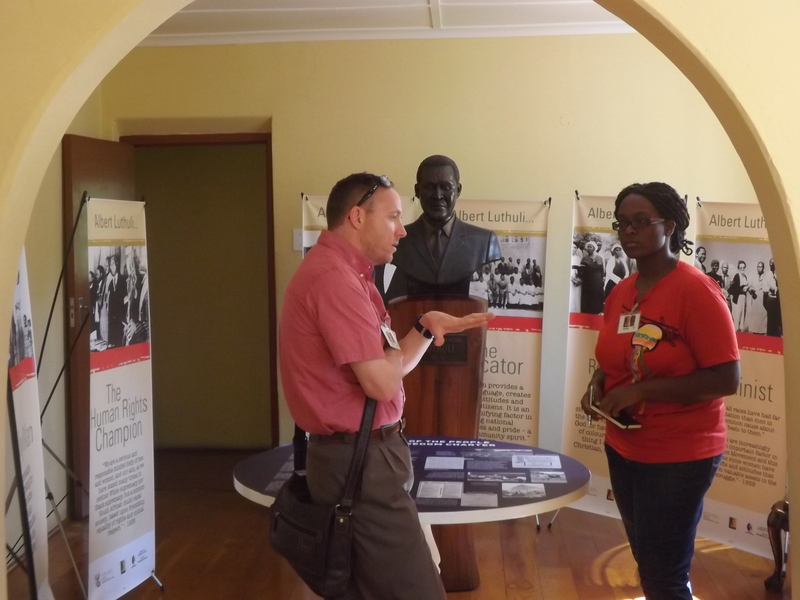 Every level of life was touched by apartheid and that is really important for me to remember as I explore the social and political transformation of the country because without that understanding I don’t think I can fully appreciate the transformation of the country. Second thing that stood out to me is the fact that apartheid was voted in by white citizens. It was not dictated like in Nazi Germany, although arguably Hitler being made Chancellor did come with it’s on implications and Jews were in the minority but I digress. Apartheid was something that was decided on by the people and then enacted. That was a powerful realization for me because I think that makes South Africa’s choice to deliberately and intentionally talk about race that much more powerful. How does one combat an intentional system of oppression? By facing it head on and dealing with it. Or at least this is a model that South Africa is trying to live into. And for someone fascinated by race, systems/structures and power dynamics, I think I will really enjoy exploring the intentionality of the country to try to reconcile with its painful past. Lastly, advice that one of our Program Directors has mentioned repeatedly is, to remember to ask who is telling the story? 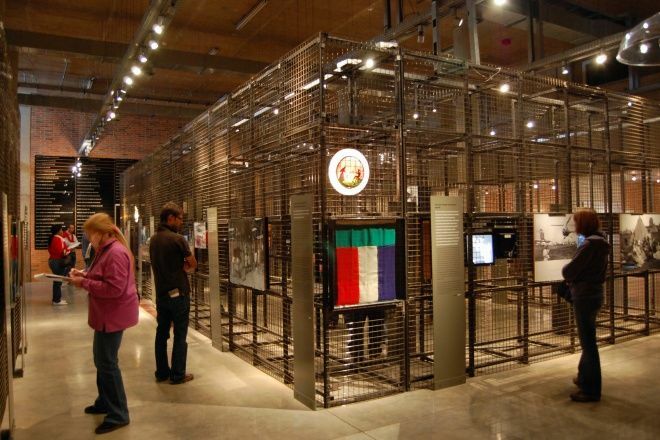 The ANC (African National Congress or the party of Mandela) are the victors of apartheid so the museum is told from an ANC perspective. This is perfectly fine and legitimate but then as an avid learner and student I must always ask myself, who is being left out? What voices are not being told? Whose story am I not hearing about? This is something that I have learned to be conscious of at Hope and it something that I intend to continue to develop and that is the skill to hear the unheard. So with that friends, I close today’s entry. Remember verbal processor, I love stories and imagine this was a 10-15 minute conversation with me and you’ll get through every post. Yesterday I went on an anticipated three to four hour hike that turned into a seven hour hike. You know, you just can’t rush when you are going along. There are so many things to look at and so many different things to climb. I went with another student, Luke from Indiana, and I tell you what- we had no idea what we were getting ourselves into. Luke had ‘mapped’ out the hike to a supposed hidden, secretive gem of Cape Town that we thought would take about two hours to get to. After about four hours of hiking, we realized how comical the directions online really were (ie. ‘Once you reach a set of jagged-looking rocks, turn left onto a faint path and walk approximately four minutes). Perhaps an experienced mountaineer would have fared better, but everything sort of looked the same to us. Regardless of never actually finding said ‘secretive gem’, the whole ‘path’ we were on was absolutely incredible. I was nervous climbing out to this ledge but it was worth it! A Protea- South Africa’s national flower! Luke and I kept commenting that even with the best camera it would be difficult to capture some of what we were seeing. At one point, when we were climbing down next to a stream, the wind was was lightly blowing the rain water off of the mountain and as the sun was shining down it look so beautiful- I had never seen anything like it! I have had the conversation a number of times with friends that within nature is where I feel most human yet this feeling became even more apparent yesterday. There is just something right about being able to hear the birds chirp, the water flow in the distance and your own heart beat as you work your way up the mountain; something about being able to drink cold, fresh water right off of the rock that makes me feel I am where I need to be. The two photos above were taken when we started to get closer to the top of the mountain. 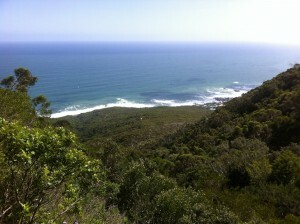 It was amazing- in the entire seven hours that we hiked we only saw one person! It was so quiet and peaceful! There are so many great places to hike around Cape Town and I want to explore as many as I can before I leave! Wow, I cannot believe how long I have been in Cape Town already! The time is just flying by! I apologize to those who have been waiting on the blog- it took awhile to get everything set up, there were some issues with uploading the photos and school has been rather hectic lately! I have so much to talk about and will now be blogging consistently. Okay- I want to get everyone up to speed on what has been happening over here in South Africa. The first two weeks were completely PACKED with various orientation activities. I spent most of the time with the other international students in my program exploring the popular spots in Cape Town and touring the University of Cape Town (UCT) where we would be taking class. We stayed in UCT residential halls for the first week and at the start of the second I moved in with my host family! Classes are now in full swing and I have turned in my first few assignments. Now that I have had time to get into a routine and actually know how to get to the bus stop, where my classes are and how to walk home, things are going quite well. I did struggle a little at first; everything was so new and different and I didn’t know anyone! When classes started it really hit me that I was not at Hope anymore. Sitting in lecture halls of 300 students, not knowing how to print in the library or where to go in between classes, I was definitely challenged. Yet, any time I became anxious or overwhelmed I would just say to myself, ‘It’s all part of the experience’. I am experiencing so many new things every day, and whether good or bad I am learning from them; learning more about South African culture and more about myself in the process. In short, I am loving it. 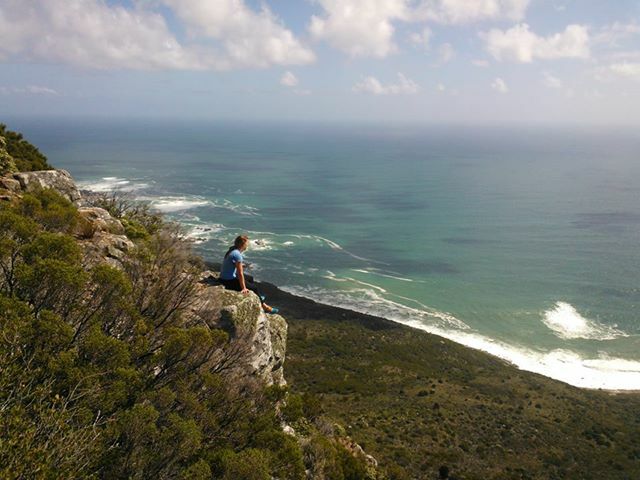 I went for a hike up one of the mountains recently and at the top as I looked out in awe over Cape Town, I just couldn’t stop thinking, ‘I am here- I made it!’ Feeling so blessed by this amazing place. It is difficult to describe everything in words so below are some photos I have taken thus far! 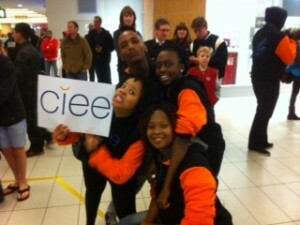 I was greeted at the airport in Cape Town by the resident assistants for my program! 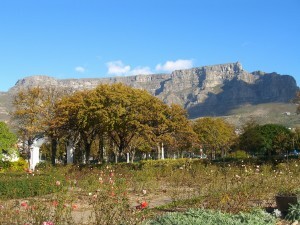 A great view of Table Mountain from Company Gardens. 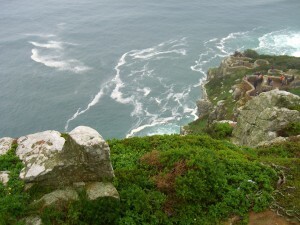 Cape Point! It took a long time to walk up all of those stairs! Well, that is all for now but more to come soon! 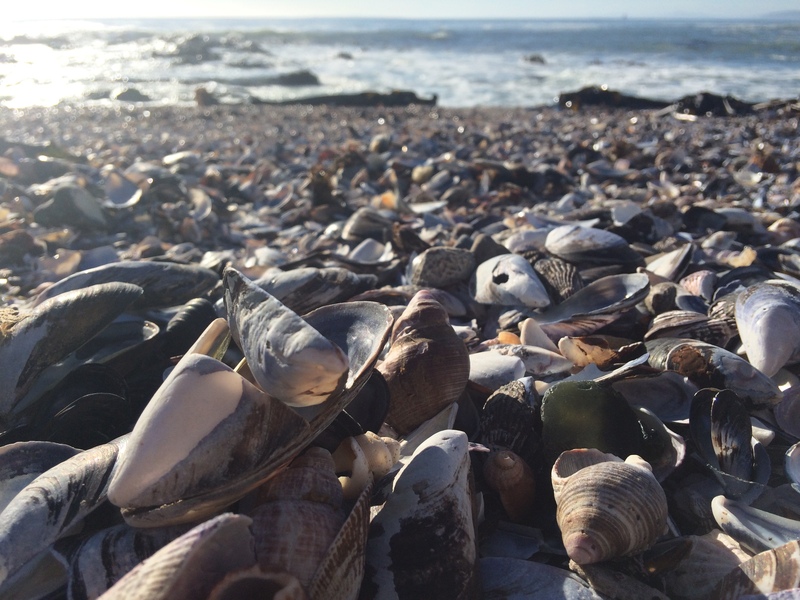 I can’t wait to see all that Cape Town has to offer! 🙂 Peace and Blessings!